1. Publishing job specs as blog posts. Take it from us, we learned this the hard way! In the early days of looking to hire new staff, our Co-Founder Vince thought it would be a good idea to post a job spec as a blog on LinkedIn. BIG mistake. People DO NOT appreciate it and will not thank you, or think favourably of you or your job offering. Yet, it’s still something many other recruiters still insist on doing. If you’d like to utilise Publisher as a means of attracting potential candidates, be clever about it. 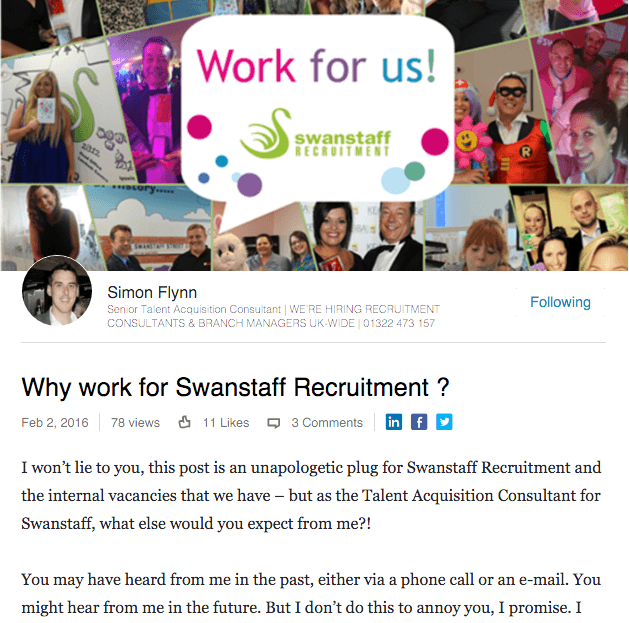 Instead of copying and pasting a job spec, use the platform to start a conversation just like Simon Flynn, Senior Talent Acquisition Consultant is Swanstaff Recruitment did with his post “Why work for Swanstaff Recruitment?”. Have a read and see what I mean. 2. Immediately spamming someone after connecting with them. The result? We usually delete those messages and remove those people as a contact. 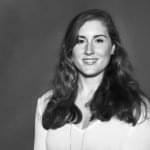 If you want to connect with me, connect with me, and begin our professional networking relationship by getting to know me through starting a conversation with me and possibly offering me some help before asking me for mine. Don’t go straight to your main objective for connecting with me, even if your ultimate goal is to sell me something or offer me a job. It just feels a bit dirty! Build a relationship with me first. Add value to your connection. The same goes when you add a candidate as a connection. Don’t immediately spam them with job opportunities. Get to know them. Show them you’ve done a bit of research and understand their professional goals on LinkedIn. It’s not all about you. 3. 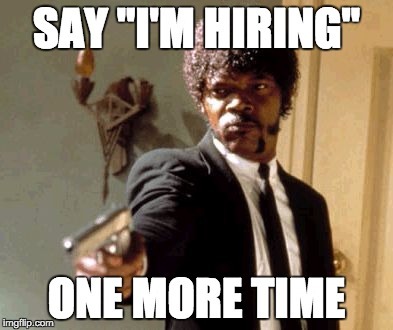 Posting annoying “I’m Hiring” status updates. This is so incredibly annoying! 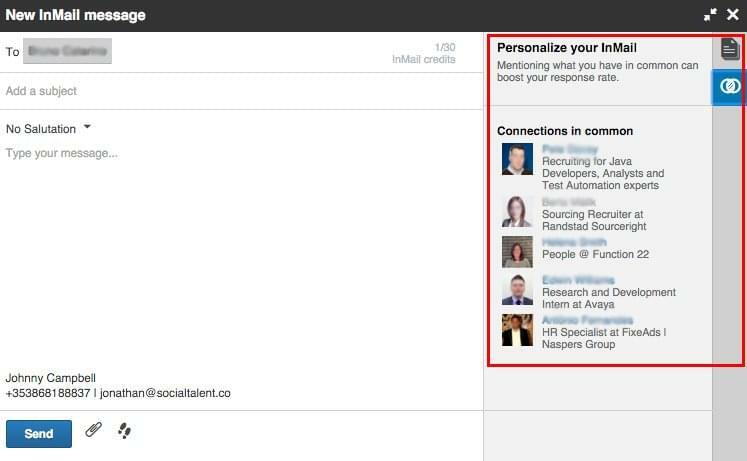 Too many recruiters are doing this on LinkedIn now and calling it “social recruiting”. It’s not clever, it’s not different, it’s not innovative. 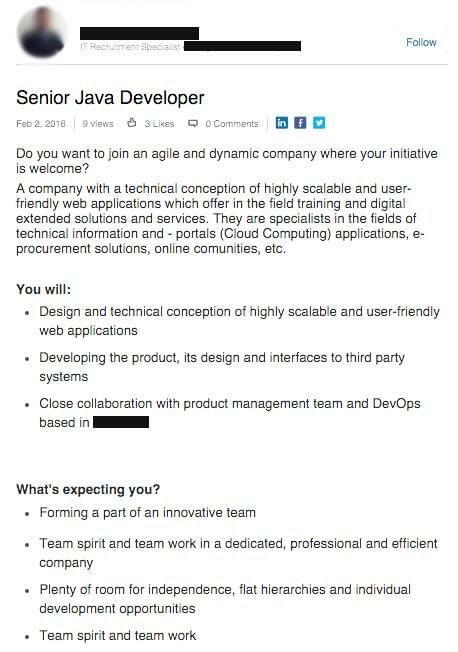 You wouldn’t walk into the middle of a group of 10 people having a conversation with a megaphone and shout “WE’RE HIRING!” would you? So, why do you think it’s okay to do the equivalent on social media? Social media is a conversation. It’s not a soap box or a bulletin board, and neither should it be treated like one. In real life, if you wanted to start a conversation with potential candidates about a job you might start by asking them a question, telling a joke or talking about a recent event. You should be doing the same on LinkedIn. Use your social skills, not your shouting skills. 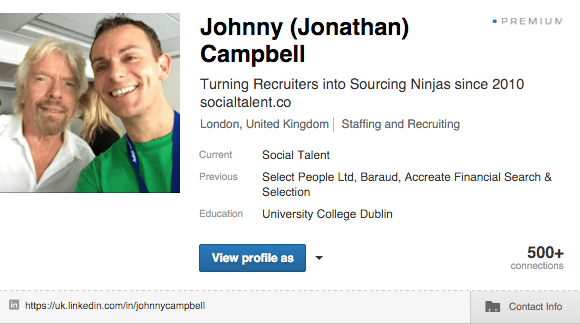 Linkedin gives you a platform to engage with potential candidates on their level, not shout at them from on high. 4. Using impersonal template InMails. This is such a no-no! 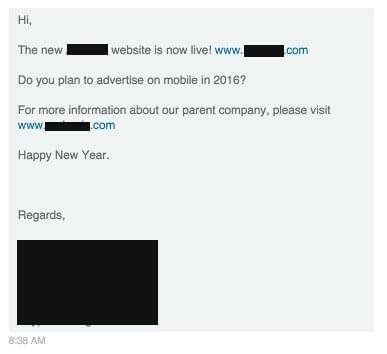 Especially, if you want to improve your response rates in 2016. There has been a lot of research conducted about LinkedIn InMails of late, the primary finding of which is that InMails now receive an average response rate of 85% – 3 times higher than that of traditional email. But here’s the thing, the people getting that 85% response rate are the ones using personalisation within their InMails. In the past, recruiters who sent InMails that received no response within 14 days were reimbursed with an InMail credit. 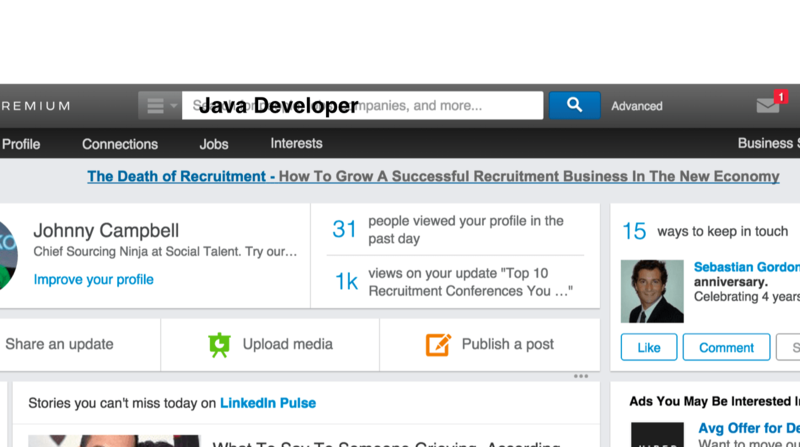 In other words, LinkedIn were essentially rewarding recruiters for sending terrible InMails! 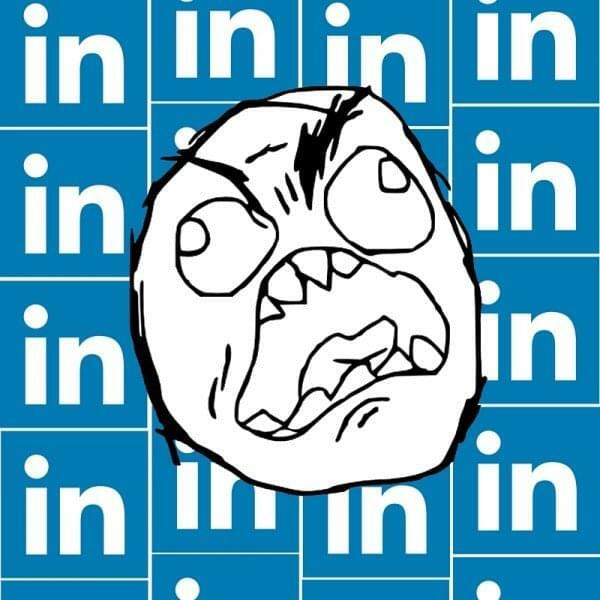 Thankfully, that has changed in the last year and LinkedIn only reimburse recruiters with InMail credits once an InMail has been responded to. Which is why it’s more important than ever for your InMails to encourage a response from the candidates you send them to. And the most effective way of garnering a response from candidates with your InMails is to personalise them. In their guide to writing effective LinkedIn Inmails, LinkedIn encourage recruiters to put themselves in the shoes of a passive candidate getting a message from a recruiter out of the blue. What would entice you to respond? I guarantee you wouldn’t say a generic message with just “Hi [First Name]” differentiating who the message is too. mention a personal interest you both share – if they mention a passion for snowboarding or yoga, and you happen to share it, say so! The aim of your first InMail to a candidate should about establishing a rapport and starting a conversation with them. That’s not going to happen if the only level of personalisation you have included in your InMail is someone’s first name. “But I don’t have time to send personalised InMails to every candidate I wish to reach out to!” I hear some of you say. I know some of you are fond of utilising the LinkedIn Recruiter feature which enables you to send the same InMail to multiple (up to 50) recipients. But while it’s more difficult to personalise mass InMails, it isn’t impossible. If you want to send mass InMails, be clever about it and start utilising the power of filters. When you conduct candidates searches, carve up your search by filtering your results by university, past company or years of experience, and use that as an element of personalisation within your InMail. For example, after filtering you could say “Hi Síofra, I see you went to the Quinn School of Business in UCD. My former colleague Mark Egan graduated from there in the same year you did. I know you’ve only been in your job for less than a year but I wanted to… etc.”. It sounds like you’ve personlised your message to one person, but really each aspect is true for all recipients. We call this “scaled personalisation”. 5. Searching for skills and keywords using the top search bar. i.e. 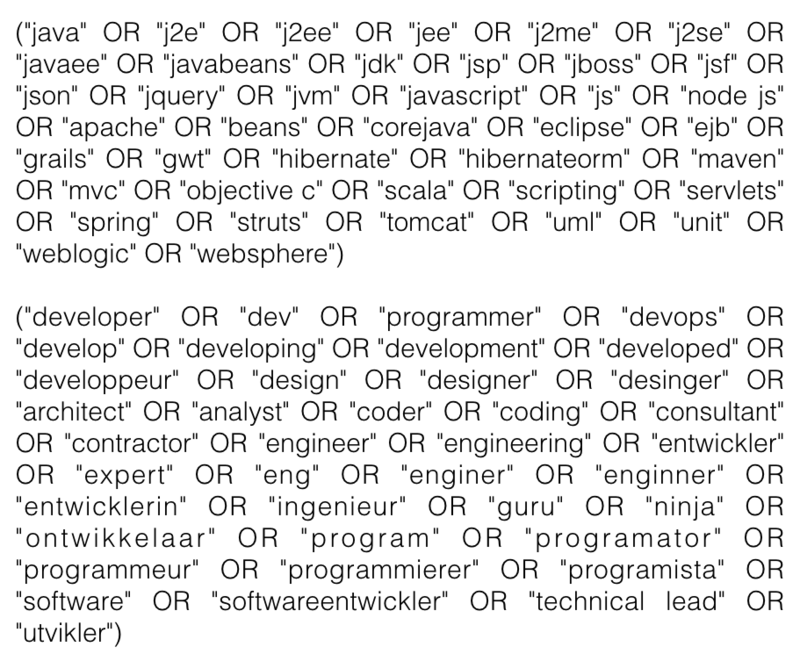 A million or so people all over the world who have a couple of those keywords somewhere on their LinkedIn profile. What do they do next? Well, they look through an average of 3 of those search results pages, click through to approximately 3 of those profiles, then they start a new search from the same search box when they can’t find what they’re looking for… A time-consuming strategy, but most definitely NOT a productive one! A smaller number of more relevant results, with candidates based in the right location and possessing the right skills and experience. The moral of the story? 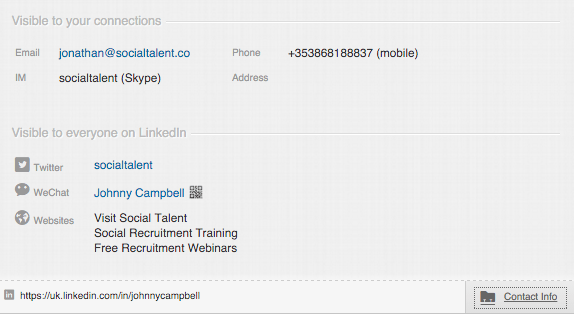 NEVER use the top search bar on LinkedIn to conduct any search where you don’t know the person’s name i.e. 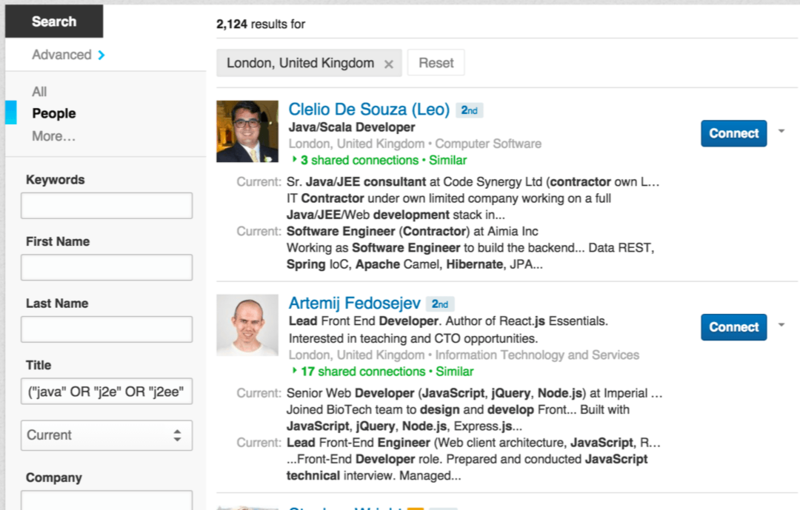 skill searches, job title searches or location-focused searches. For each and every one of those searches, you should be using the Advanced Search feature on LinkedIn and doing so with the power of a great Boolean search string. 6. Trying to make placements and hires using a free account. While you may feel like you’re “beating the system” by using x-ray searching techniques to cheat LinkedIn’s search limitations, the only person you’re hurting is yourself. Yes, it is perfectly possible to find candidates this way and yes, it is cheaper, but in 98% of cases, your search (and therefore, your search results) is a lot weaker than if you performed it within LinkedIn itself. Why? 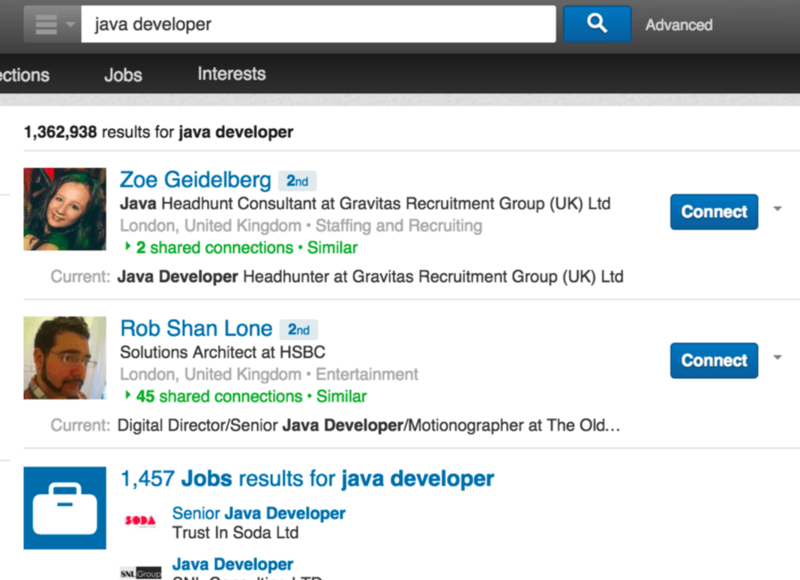 When you conduct an x-ray search versus an actual LinkedIn search, your x-ray search is not searching the whole LinkedIn database, it’s not looking at all the keywords used on a candidate’s profile, it limits the number of search terms you can use, you can’t filter by job title, and x-ray searching just isn’t as accurate. In short, you’re getting a much weaker search engine and much weaker search results. Neither of which anyone wants! As part of the research we conducted for the Global Recruiting Survey 2015, we found that the amount of recruiters and sourcers using a paid LinkedIn account has shot up by 10%. By implementing a search limit LinkedIn have pushed people to pay for the data it proves its users, but this isn’t a bad thing. In fact, it’s probably a great thing! We’ve found that users of paid LinkedIn accounts are actually more competent sourcers than those who use a basic account. So using a paid account could help improve your sourcing efforts. Who’s Viewed Your Profile: While a free accounts lets you see a handful a people who have viewed your profile, the vast majority of this information is hidden from you, meaning you don’t get a complete picture of who has been viewing your profile. Why is this important? Well, if you’re a recruiter it’s exceptionally important for you to know whether or not the candidate you just reached out to has visited your profile to check you out, and in doing so, shown some interest in the role you’re proposing. When you notice a candidate has visited your profile, it’s the perfect time of you to take action on that activity by reaching out to them and starting a conversation. InMail Messages: LinkedIn InMail messages have an a staggering 85% open rate – 3 times higher than that of traditional email – so having access to more InMails means you have more chance of receiving a response from the candidates you do reach to (depending on how well you write your InMail). Plus, if the recipient accepts or declines your InMail within 90 days, LinkedIn will credit the InMail back to you. Premium Search Filters: Paying for LinkedIn will give you access to some useful search filters you can use to refine your candidate search and get to the right people more quickly. These include; seniority level, company size, interests, Fortune 1000, job function, years of experience, additional information about your groups and who is new to LinkedIn – filters you won’t be able to utilise with a free account. Profiles Per Search: This is the biggie! Last year LinkedIn allowed Basic (free) members access to 3rd-degree profiles, but as we all know this access came at an expense – the dreaded commercial search limit. As of the date this blog was posted, there is no commercial search limit when you upgrade to the Business Plus subscription or higher. Saved Search Alerts: The Saved Search Alerts are one of (three) emails you don’t want to miss in your inbox. 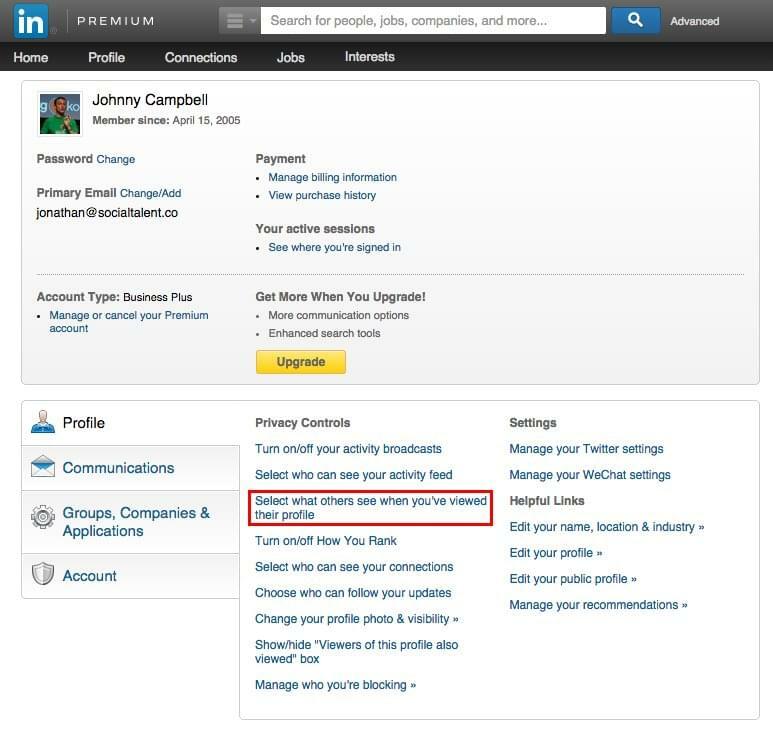 LinkedIn will email you any new profiles that fit your search criteria on a weekly basis. So, LinkedIn will email you leads? Yep, you got it. 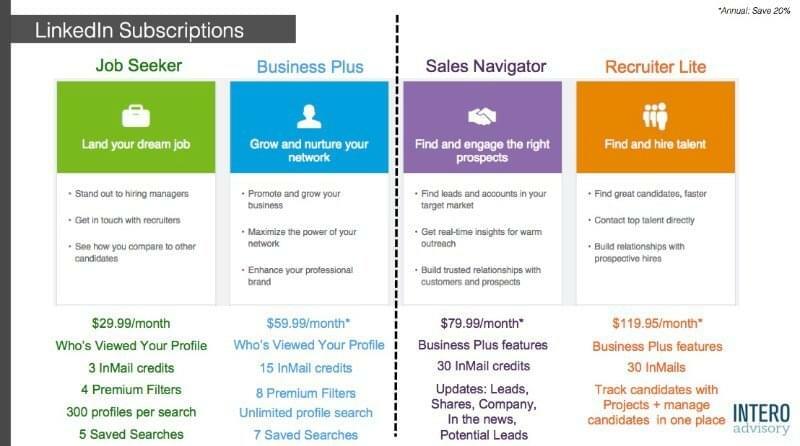 As a recruiter, we suggest selecting the Business Plus option to start with, but if you feel like pushing the boat out, definitely check out the Recruiter Lite option which is specifically tailored to those in recruitment and offers you more ATS-like abilities within LinkedIn itself. 7. Not having your profile visible to everyone. Your name and headline (Recommended) – this option ensures your full information will be available to those who wish to see it and they can click on your profile to view it. Anonymous profile characteristics such as industry and title – this option will hide your name and photo, but will give them an idea of the industry or company you’re in and your job title within that industry. People will not have the option to you your profile. You will be totally anonymous – this option ensures none of your details will be shared with that person whatsoever. People will not have the option to you your profile. We recommend that you set this to show your name and headline so that you have the ability to gather leads about the people who choose to view your profile. Think about it: when you run a search and you’ve looked at maybe 10 people, if 2 of those 10 people see on their profile that you’ve viewed theirs and they decide to check you out, what is that? That’s a signal. 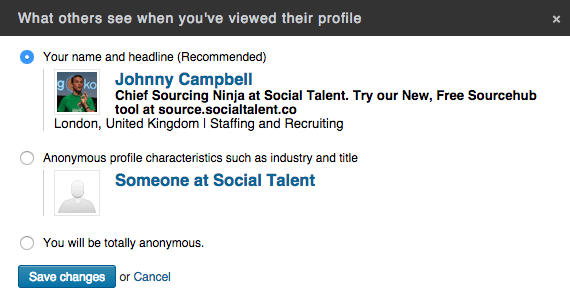 A signal that they want to know who this recruiter is that’s viewed their profile. And to me, that says they may want to talk to you and about a job you may have on offer. So keep your name and headline visible – it’s a great way to gather leads on potential candidates. 8. Not including your contact details on your profile. Stop asking candidates to email or call you about jobs, when you haven’t bothered to include your contact details on your LinkedIn profile. We see this phenomenon all too often on LinkedIn. Oh, and don’t stop at including just your email. If you have a Twitter account (please tell me you do?!) include it, if you have a WeChat include it, and if you have a Skype, lash that in there too. If you send a LinkedIn Connection Request with a job opportunity message in it, you're doing yourself a massive disservice. Here's 3 simple ways to fix it. Greatest Employment Rejection Letters EVER! The Most Awkward Office Secret Santa Gifts EVER! The office Secret Santa gift exchange... is there anything more awkward? !